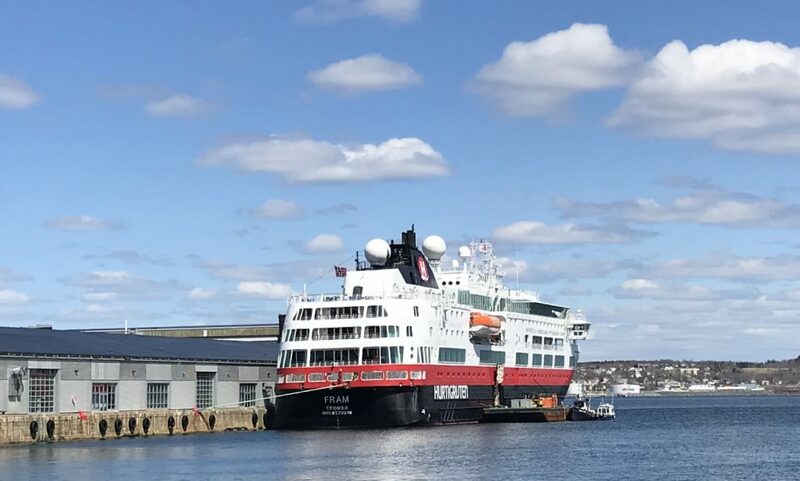 The 2018 Cruise season kicked off today with the arrival of the Norwegian Cruise ship Fram, tieing up at Pier 23. Built in 2007 for Hurtigruten. On this trip she arrived from Boston and carries 327 passengers on expedition style cruises. Next on the Cruise schedule is the Artania arriving on the 26th, Norwegian Bliss, re-positioning form Southampton to New York, and MS Veendam on a Boston to Montreal trip arrive on the 30th. This entry was posted in cruise ship on April 22, 2018 by Peter.